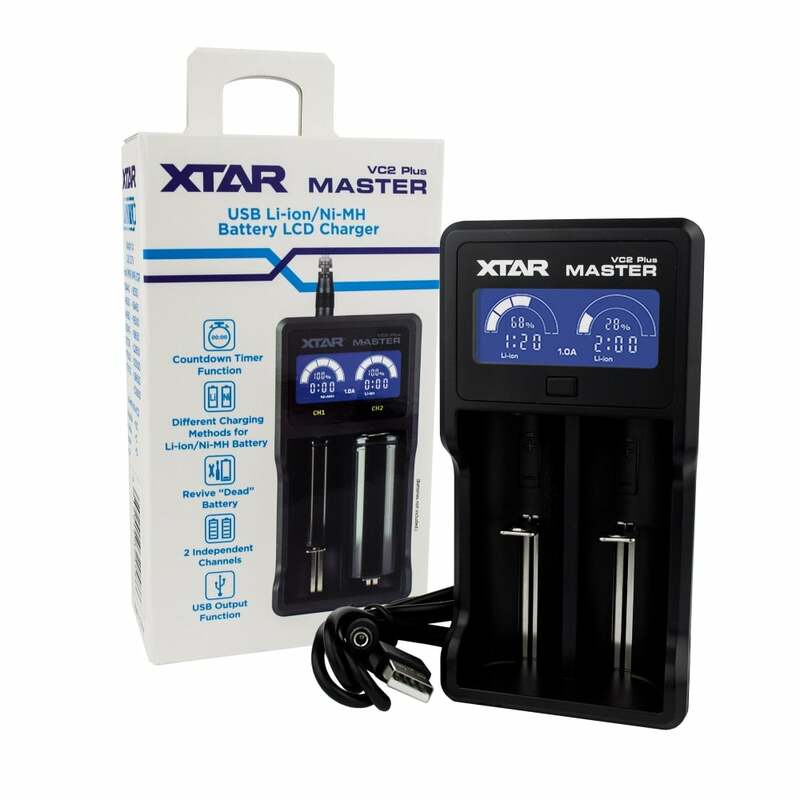 The Xtar Master VC2 Plus is a smart, compact two-bay charger for your 18650 batteries featuring a countdown timer to let you know exactly when your batteries will be charged. The Master VC2 Plus’ countdown function gives you a real-time countdown to full charge for each of your batteries; the charger also displays charging current and current battery percentage. Use the device’s USB output to display a battery power discharging icon; you can even charge both your batteries and an external device at the same time while the power is connected! You can choose between 0.5A and 1A charging currents depending on your battery (though be aware that lower currents help to maximise battery life) and the charger also allows you to bring old or over-discharged batteries back to life! The Xtar Master VC2 Plus lets you charge anywhere with its USB charging port; it is compatible with all 5V USB power sources, and includes short circuit and reverse polarity protection.